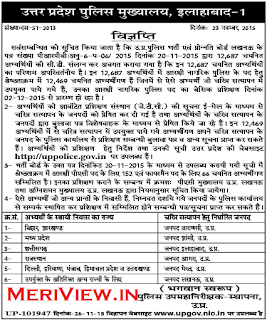 Uttar Pradesh Police Recruitment and Promotion Board had conducted examination of various posts. 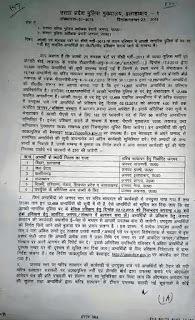 The latest news of UP Police Bharti are going to be updated here regularly. meriview.in will be the first one to notify you on any latest updates. Candidates can check them from here or they can visit the official websites uppbpb.gov.in or prpb.gov.in to check them. SI Mritak Ashrit Exam Details has been notified. SI Female Failed candidate list is declared. SI Result had been declared. 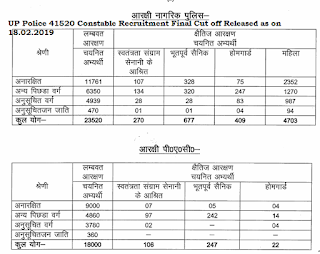 41520 Constable Recruitment Advt No. PRPB:1-1(112)2017 Final Result is declared now. 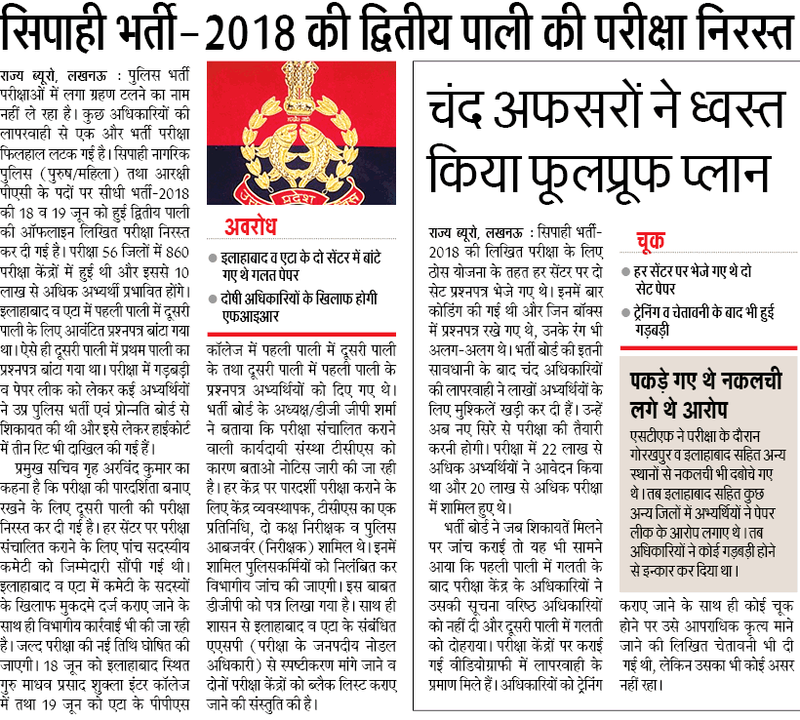 Online submission of applications for Horse Rider Constable, Jail Warder & Fireman recruitment will start from 18 January 2019. 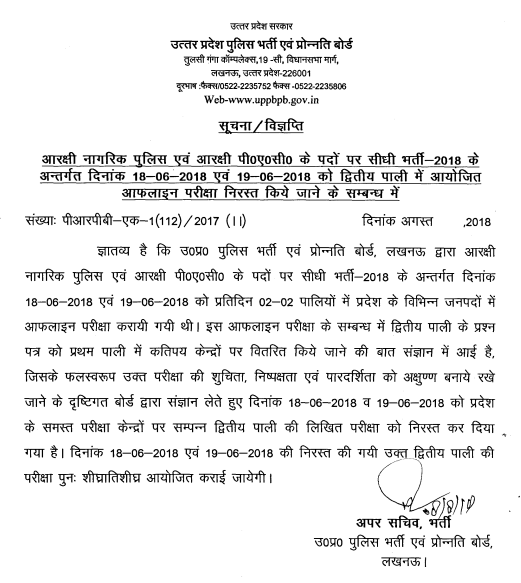 UP PRPB will release official answer keys from Computer Operator Exam (held on 21 & 22 December 2018) on 03.01.2019. Constable DV/PST/PET Admit card is Available at link below. 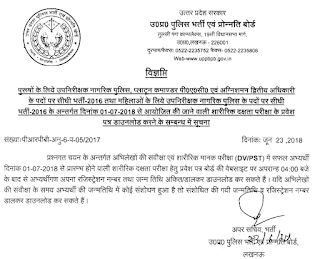 UP Police released the admit card for Computer Operator Posts. 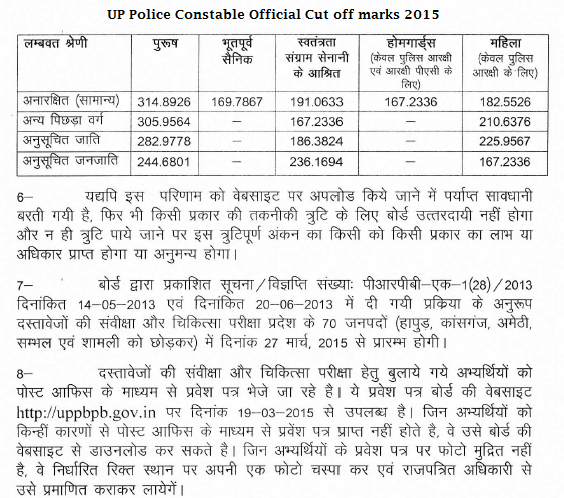 UP Police released Constable DV PST Cutoff marks. DV / PST will be held from 06 to 10 December 2018. Admit card for DV & PST are available at link below. Final Answer key of Constable Exam is available now. Cut off marks, DV & PST notice released. 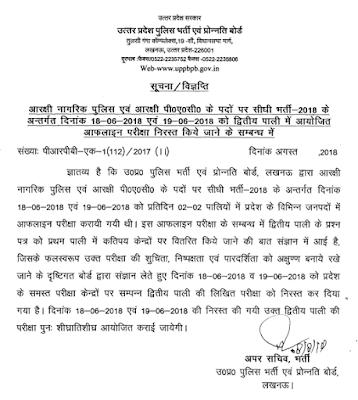 The result of Constable 25, 26 October exam is to be declared on 04 Dec 2018. 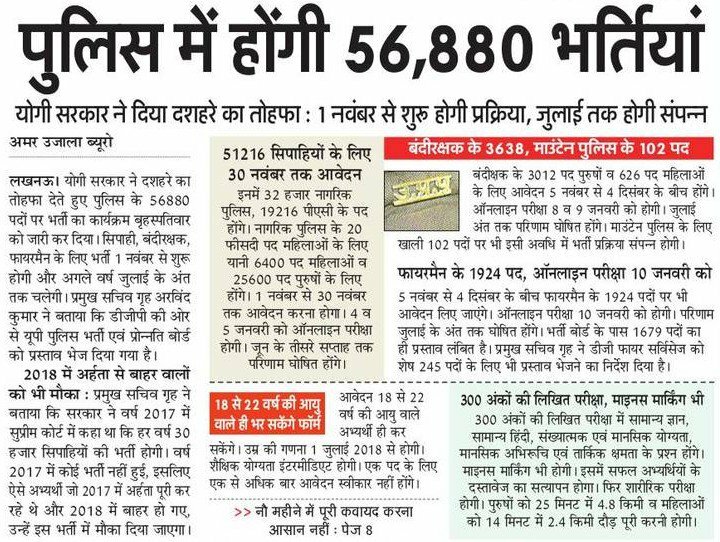 UP Police has invited applications for 49568 Posts of Constable. 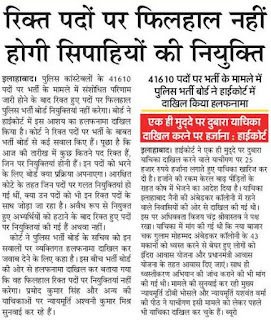 UP Police Constable Re-exam admit card has been released. 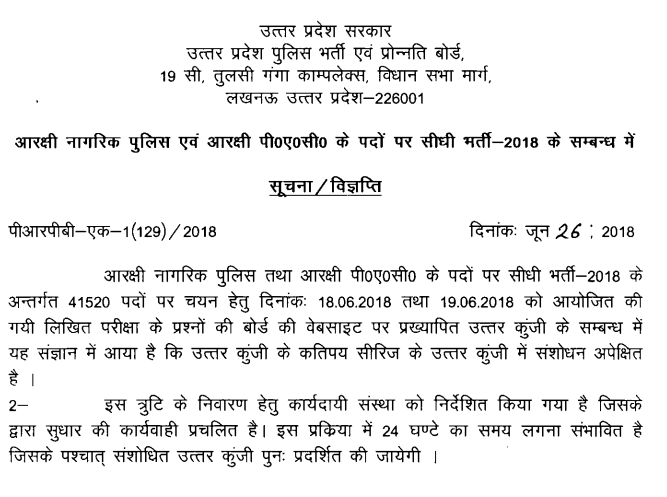 UP Police constable cancelled exam (18 & 19 June 2018) will now be held on 25 & 26 October 2018. UP Police will soon release advertisements for Constable Horse Rider, Fireman & Jail Warder posts. 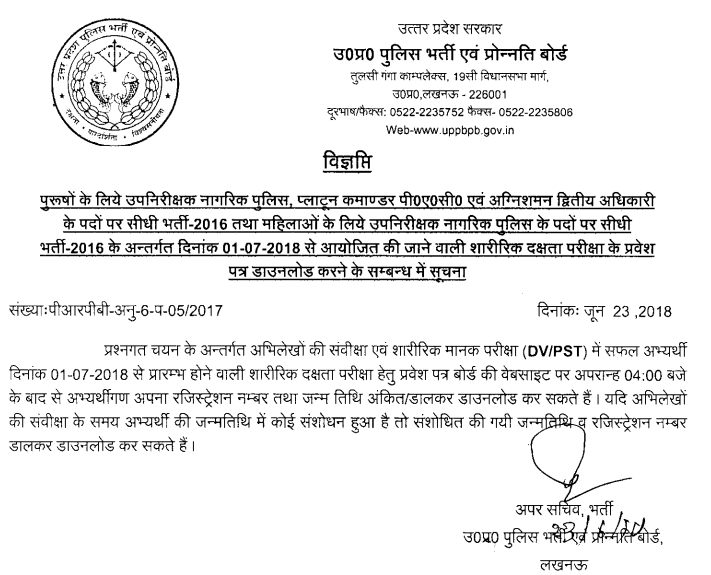 UP PRPB released a notice stating that the constable exam held on 18 & 19 June 2018 2nd shift has been cancelled. Constable exam answer key has been released. Objections can be submitted up to 30 June 2018. 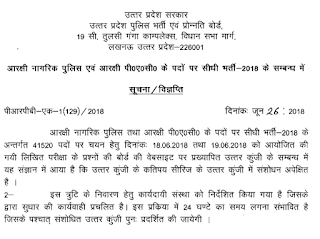 UP PRPB is likely to release Answer key of Constable Exam 2018 on 27 June 2018. 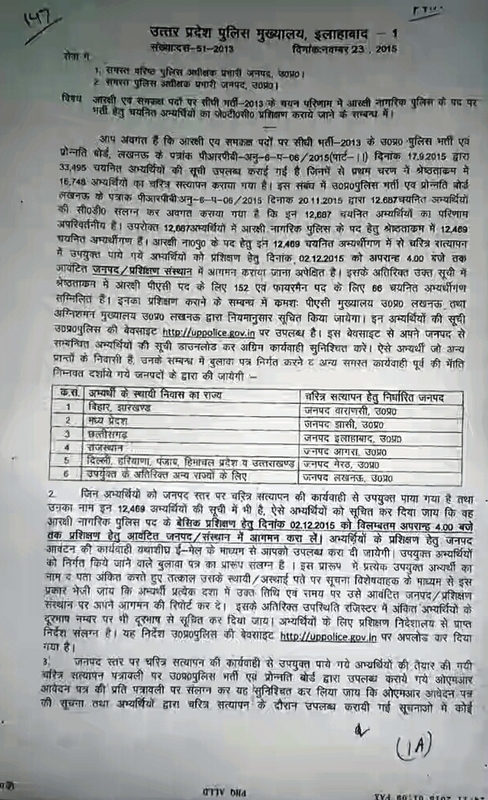 UP SI Male Female Platoon Commander Fireman PET (शारीरिक दक्षता परीक्षा) Call letter released. 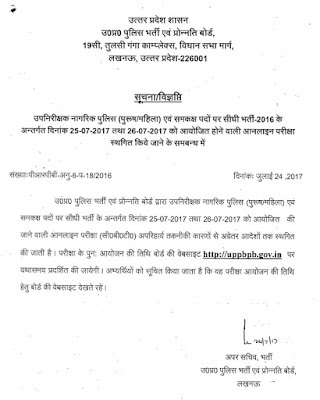 UP SI 2016 Bharti PET Admit card is available now. UP SI admit cards are available now. UP SI Re-exam will be conducted from 12th December to 22nd December 2017. UP CM assured that 47000 Constables & SI recruitment will commence from December 2017. UP Govt. has cancelled Jail Warder & Fireman Recruitment 2016. Restarting of Fresh Applications will commence soon. 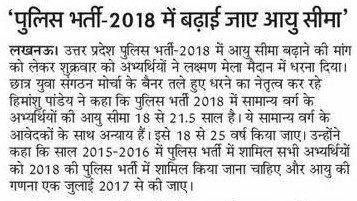 UP Police is likely to conduct re-exam of SI (3307 posts) from 05 to 25 December 2017. The preparation for conducting this re-test are being done by the agency. 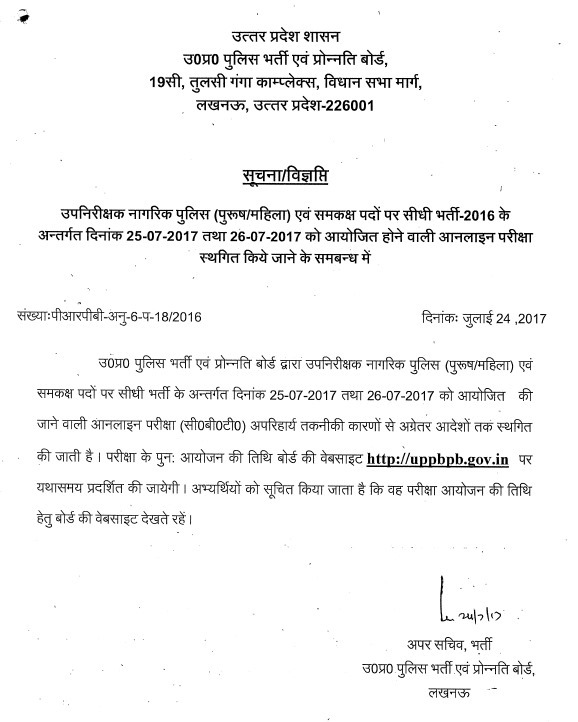 02 September 2017:The admit card of UP Police SI ASI Accounts Computer Operator is available now. 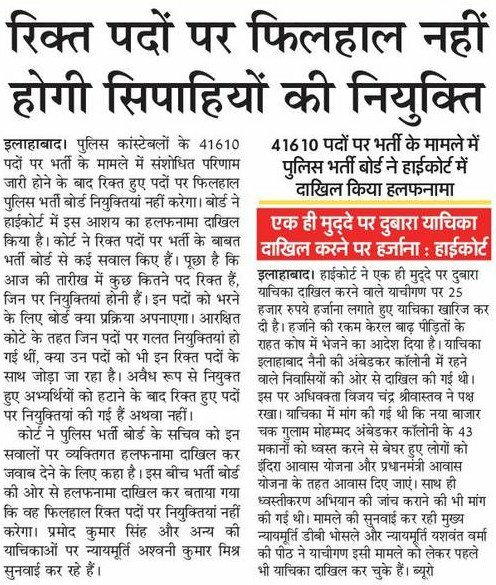 UP Police SI Admit card, Mock Test had been released. UP SI, Platoon Commander (PAC), Fire officer exam will be held on 17 to 31 July 2017. Admit card will be out from 01 July 2017. 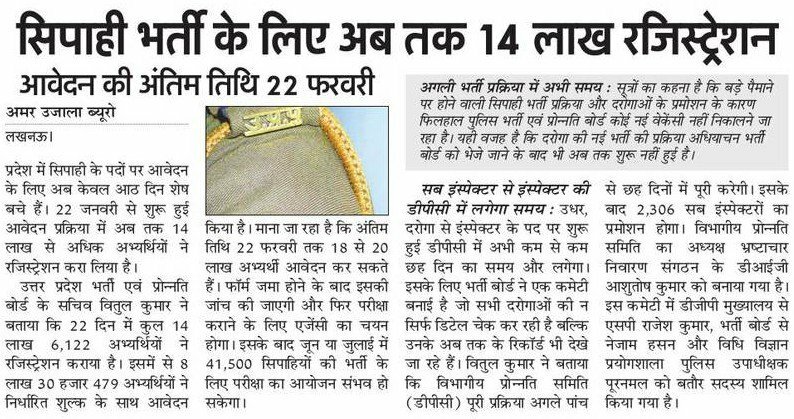 19.04.2017:UP Police will make recruitment for 1.25 lakh posts of Constable & SI. After approval from cabinet, the bharti process will start. It may be done in more than one phase. 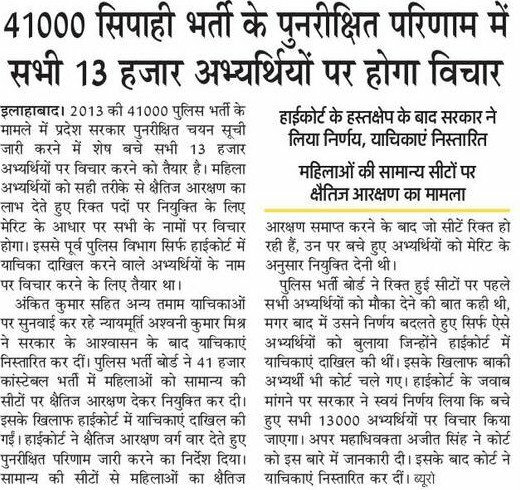 UP Police had invited EOI applications for SI ASI bharti exam. Earlier UP PRPB had released the result for constable main written exam on their official website on 14 January 2015. Candidates can check their marks from below link. 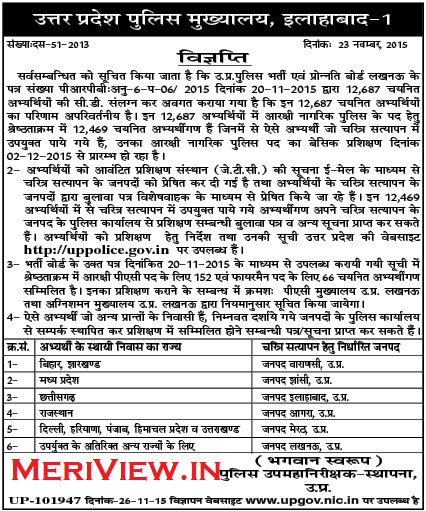 UP PRPB had conducted Main Written Exam for Constable (Aarakshi aur Samkaksh) on 14 December 2014. 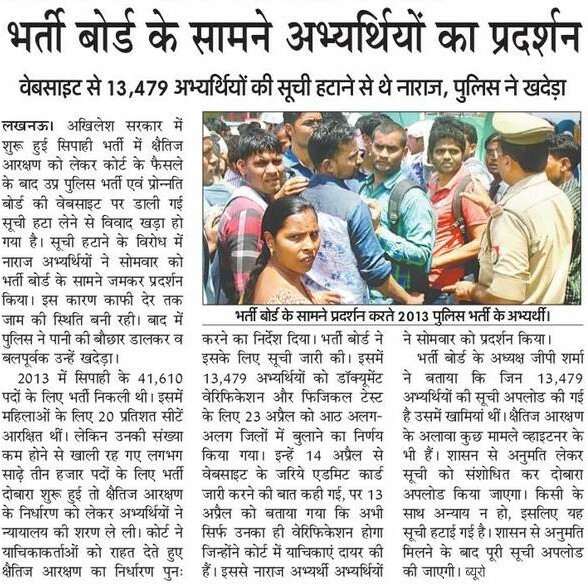 Those candidates who have appeared for UP Police Constable Recruitment can check their result for the main examination which was held on 14.12.2014. The marks obtained by candidates as per answer keys can be from the direct link given below. Also answer sheets had been released. Candidates can check their merit list from the below given direct link. 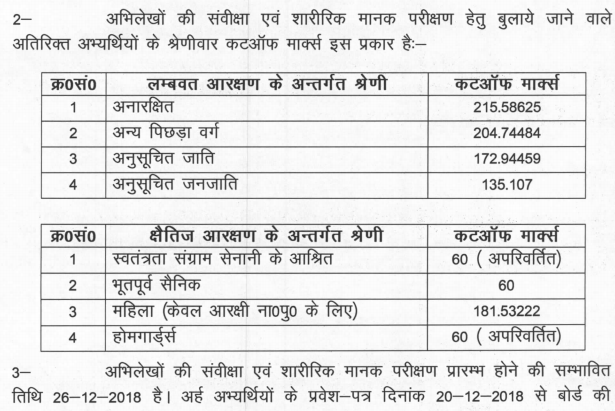 Earlier in the year 2013, UP PRPB Lucknow had invited applications for these posts. Large number of candidates had appeared for this exam. The procedure to check is described below. Steps to check UP PRPB Result for Constable Recruitment. 1. You need to visit the official website given above or the direct link. 2. On the next page, you need to find the related result link. Then you need to enter details like roll number, date of birth, gender and verification code and click on submit. After following all these steps, your UP Police Result will be displayed by the website. Candidates can take a printout of it. 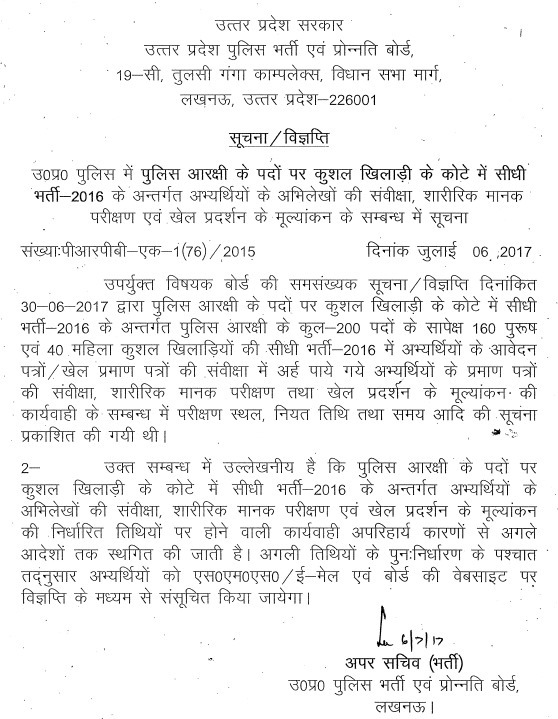 UP Police Constable Training (as on 05 Jan. 2016) : After High Court Order 04 Jan. 2016 and Candidate's efforts, UP Police Department had announced Training schedule and character verification dates. 2nd Batch 16747 Candidates Training will be held from- Last week of March 2016. 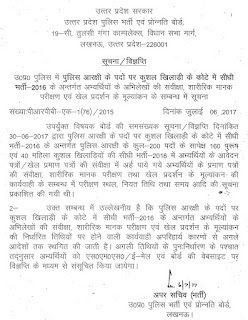 UP Police had released recruitment notification for 2064 SI posts. 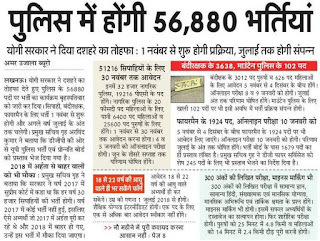 In response to 41610 vacancies, total 55123 candidates had been called for medical examination. It is above 30% more than posts. Official cut off marks can also be seen from below given image. 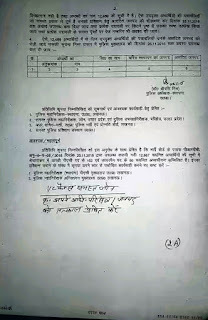 UP Police had declared merit list for medical exam on 20 March 2015. Also it will conduct Medical Exam for Main Exam qualified Candidates from 27.03.2015. 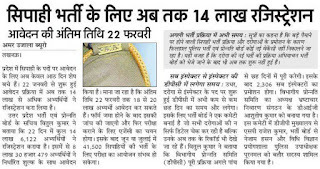 UP Police had already conducted Main Exam on 14.12.2015. 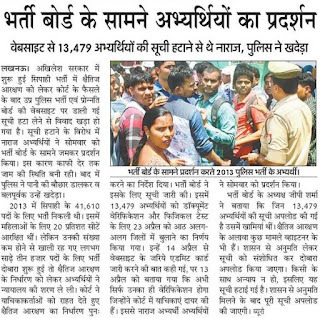 3,47,175 Candidates were Participate in Main Exam. 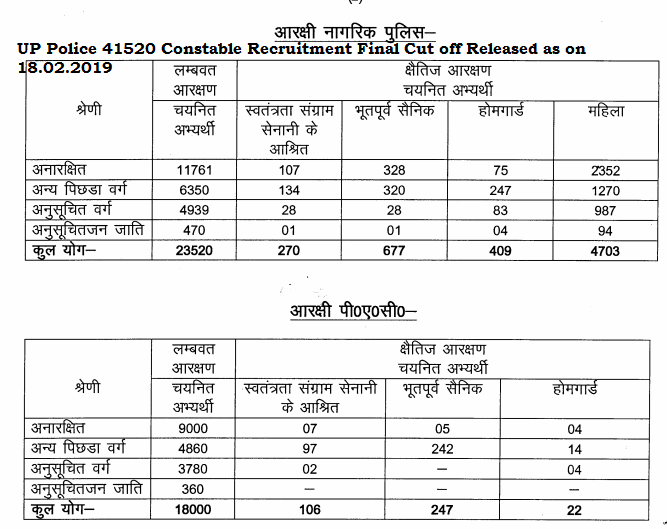 UP Police Constable Merit list: UP Police Recruitment and Promotion Board (UPPRPB) will declared the merit list cut off for medical exam on 20 March 2015. For that, UP PRPB is in the process of conducting medical examination and document verification. 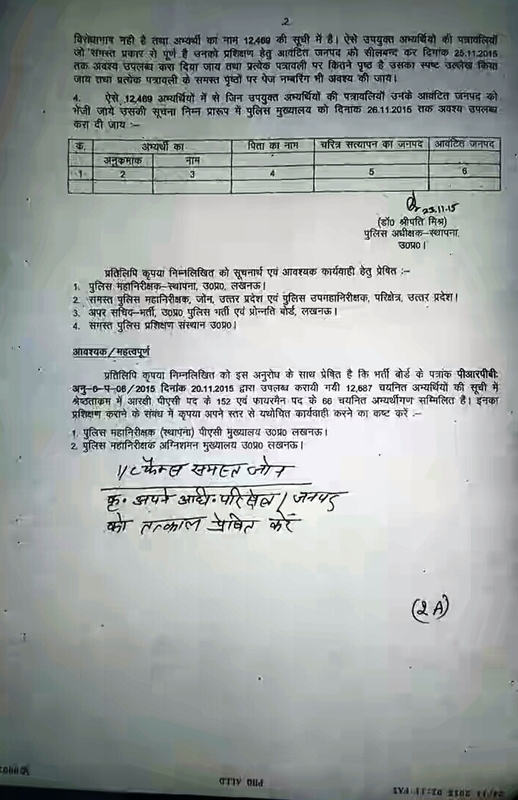 Medical exam / scrutiny will be conducted from 27 March 2015 district-wise. After that, final merit list of selected candidates for constable posts will be prepared. This merit list is going to be based on the marks obtained in PET and Main exam marks. Current Status - Marks had been declared. Also answer sheets had been released.